A Customer Service Agent greets customers warmly, ascertains and resolves customer’s problem through email, chat, phone or social media, assists the customers in placing or canceling orders, verifies the account details of customers, assists during refunds, exchanges or defects and also takes care of billing and other customer queries. The other job duties that are discharged by the customer service agents are compiling reports, handle changes in renewals or policies, reminding the customers of due dates and payment dates and informing about discounts and promotions on behalf of the company. 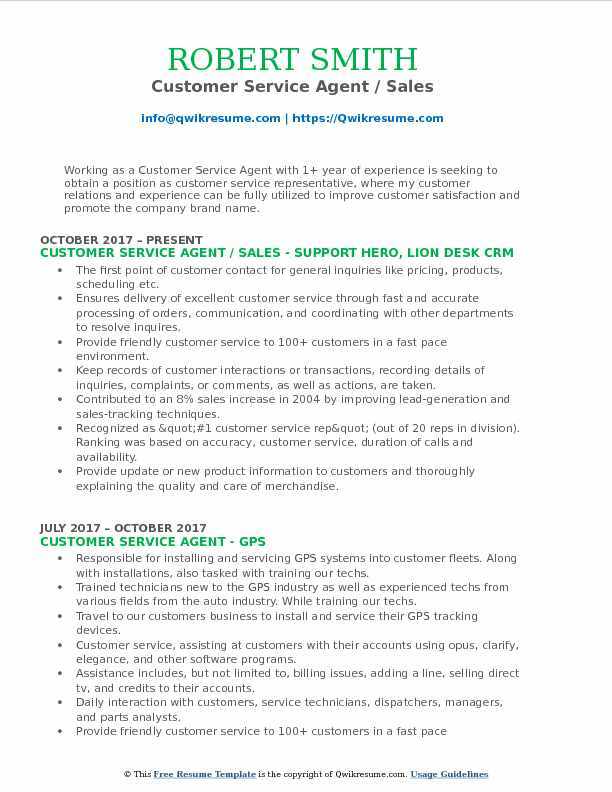 Individuals seeking for this job post should highlight in their customer service agent Resume sample major skill like patience, courtesy, problem-solving skill, computer literacy, strong communication ability, and conversational etiquette. No formal education is required for this post, but a high school diploma or a Degree in communication is highly preferable. Summary : Dedicated Customer Service Agent who provides exceptional customer care with 10 years of professional service and leadership experience. Strong time management skills with special attention to safety standards. Very effective in motivating others to reach their optimum potential. Skills : Microsoft Excel, Basic Concepts Of IT, Word Processing, Spreadsheets, Databases, Presentation And Drawing, International Network Services, Python, Delphi/Lazarus And SQL Programming Languages. Adeptly handled multiple diverse customer services and administrative tasks including welcome and check in passengers, processing ticketing, allocating proper seating arrangements, distributing boarding passes, and tagging luggage for accurate and efficient transport. Educate passengers on luggage size restrictions and diplomatically but effectively enforcing collection of excess weight charges when necessary. Complete and organize documentation for cargo to be uplifted onto aircraft. Execute cargo warehouse checks and reconciliations with accuracy. Investigate and track information on missing luggage and misappropriated cargo. Enhanced passengers travel experiences by fielding passenger inquiries about flight departures and arrivals. Research promotions and deals to assist passengers in finding and completing economical bookings on regional and domestic routes. Usher business class passengers into airline lounges, serving snacks, helping customers with menu selections, assisting with flight details on disrupted flights and customizing requests. Troubleshoot complaints and answering inquiries with accurate information in a timely and empathetic manner. 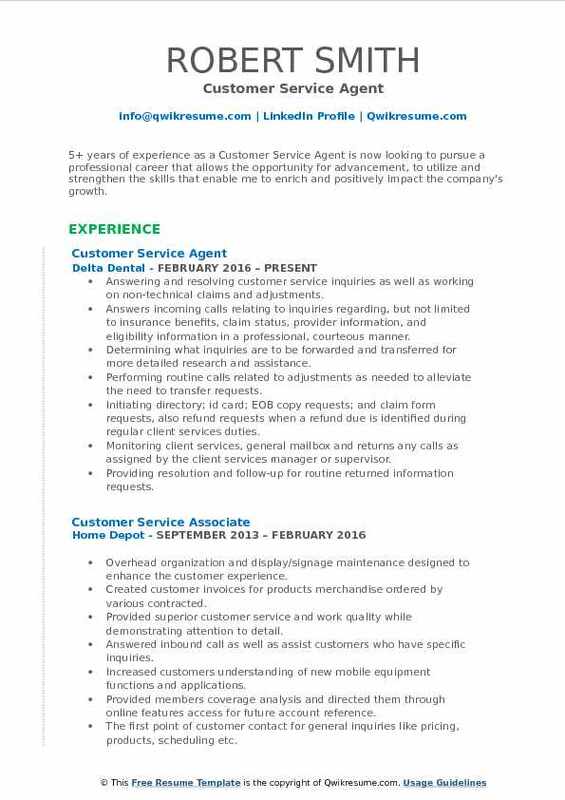 Summary : 10 years experience of Customer Service Agent skilled at balancing customer needs and company demands. Effectively builds loyalty and long-term relationships with customers while achieving all individual sales goals. Skills : HIPPA, Customer Service, Communications, Technical Support, Organizational, Problem Resolution, Relationship Building, Leadership Development, and Strong Work Ethic. Respond in a timely and accurate manner to routine customer service calls, ensuring that residential and commercial service issues and concerns are treated in a respectful and professional manner. Effectively respond to routine issues regarding general residential and commercial service matters, which may involve outbound calls and other communications to resolve simple issues including, billing questions, service inquiries or cancellations, residential price increases and equipment issues. Log information about customer service interactions into systems; update in a timely and accurate manner so that associates are able to track service inquiries and resolution. Serves as a primary customer advocate in solving escalated customer service issues by coordinating and ensuring issue resolution with the local management team. Effectively responds to customer requests including, but not limited to, service changes and issues with billing and equipment. Returns all internal/external calls, emails, and faxes in a timely manner, ensuring that customers. Logs and records information about customer support interactions by inputting information into company systems and updating information in a timely and accurate manner. Assist management with developing action plans to resolve issues and build effective processes. 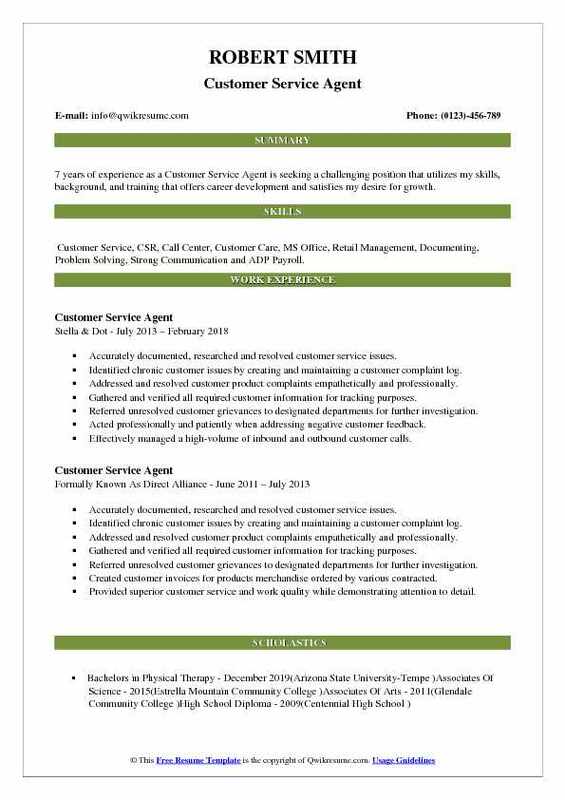 Headline : 7 years of experience as a Customer Service Agent is seeking a challenging position that utilizes my skills, background, and training that offers career development and satisfies my desire for growth. 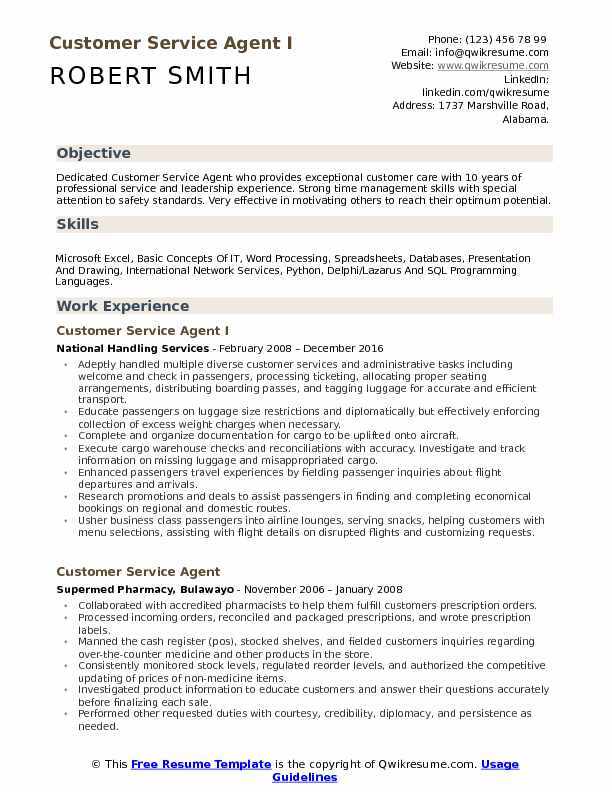 Skills : Customer Service, CSR, Call Center, Customer Care, MS Office, Retail Management, Documenting, Problem Solving, Strong Communication and ADP Payroll. Answered a constant flow of customer calls with up to 30+ calls in queue per minute. Headline : 5+ years of experience as a Customer Service Agent is now looking to pursue a professional career that allows the opportunity for advancement, to utilize and strengthen the skills that enable me to enrich and positively impact the company's growth. Skills : Critical Thinking and Creative Problem Solving, Oral, Writing and Interpersonal Communication, Organize and Evaluate Information from Multiple Sources, Call Center, Customer Service. Answering and resolving customer service inquiries as well as working on non-technical claims and adjustments. Answers incoming calls relating to inquiries regarding, but not limited to insurance benefits, claim status, provider information, and eligibility information in a professional, courteous manner. Determining what inquiries are to be forwarded and transferred for more detailed research and assistance. Performing routine calls related to adjustments as needed to alleviate the need to transfer requests. Initiating directory; id card; EOB copy requests; and claim form requests, also refund requests when a refund due is identified during regular client services duties. Monitoring client services, general mailbox and returns any calls as assigned by the client services manager or supervisor. Providing resolution and follow-up for routine returned information requests. Performing essential duties and serves as the back-up for client services agents as needed. Summary : Highly motivated experienced working in a fast-paced environment. Over 18 years of business office and Customer Service experience, proactive team-player with the ability to obtain goals and meet deadlines. Achievements include Employee of the Month awards, meeting promotional bonuses by reaching high quotas and enhancing office operations by effectively resolving multiple issues. 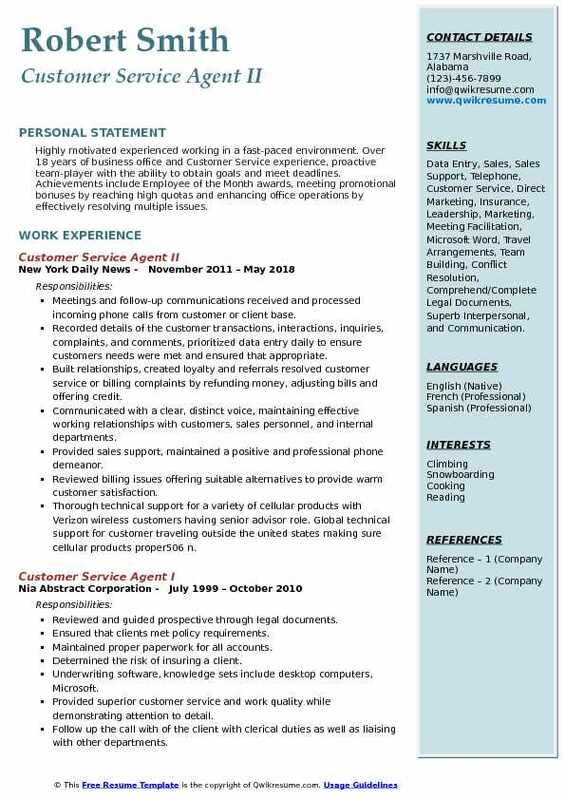 Skills : Data Entry, Sales, Sales Support, Telephone, Customer Service, Direct Marketing, Insurance, Leadership, Marketing, Meeting Facilitation, Microsoft Word, Travel Arrangements, Team Building, Conflict Resolution, Comprehend/Complete Legal Documents, Superb Interpersonal, and Communication. Meetings and follow-up communications: received and processed incoming phone calls from customer or client base. Recorded details of the customer transactions, interactions, inquiries, complaints, and comments, prioritized data entry daily to ensure customers needs were met and ensured that appropriate. Built relationships, created loyalty and referrals resolved customer service or billing complaints by refunding money, adjusting bills and offering credit. Communicated with a clear, distinct voice, maintaining effective working relationships with customers, sales personnel, and internal departments. Provided sales support, maintained a positive and professional phone demeanor. Reviewed billing issues offering suitable alternatives to provide warm customer satisfaction. Thorough technical support for a variety of cellular products with Verizon wireless customers having senior advisor role. Global technical support for customer traveling outside the united states making sure cellular products proper506 n.
Objective : Working as a Customer Service Agent with 4+ years of experience is seeking to obtain a position as a team-player in a people-oriented organization where I can maximize my customer-service experience in a challenging environment to achieve my career goals. Skills : Microsoft Word, Excel, And PowerPoint Proficient With HRC, Team Coach, Award, TeleTracking, Team Flow, Meditech American Heart Association, CPR Certified. Maintaining the highest levels of customer care while demonstrating a friendly and cooperative attitude in a high-volume production environment. Receiving and dispatch calls/e-mails regarding service and supply requests for copiers, printers, fax machines and mailing products. Document maintenance of information in all logs and reports with a keen attention to detail. Following up and escalate on service and supply requests on an ongoing basis. Daily interaction with customers, service technicians, dispatchers, managers, and parts analysts. Assisting administration and billing department teams when need backup support. Processing and approving invoices for service and supply sales and purchase orders. Participating in cross-training activities with other members of the NOVITEX print operations team. 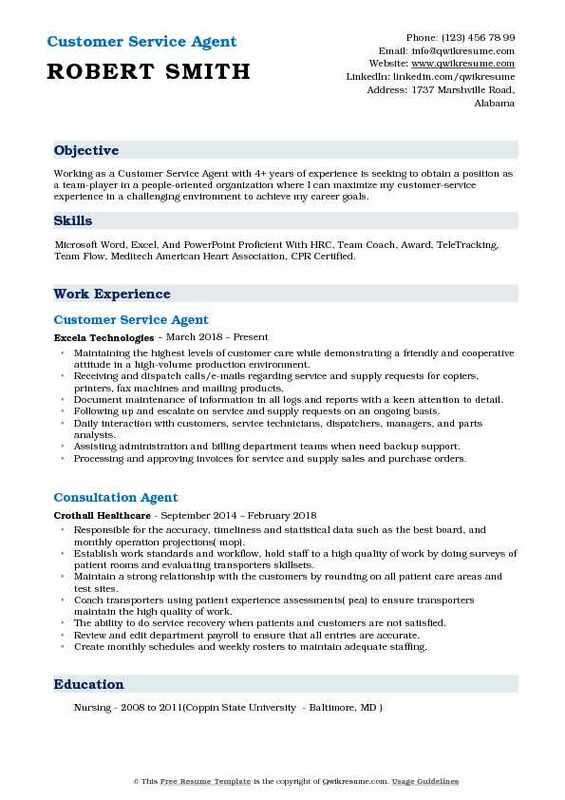 Objective : Working as a Customer Service Agent with 1+ year of experience is seeking to obtain a position as customer service representative, where my customer relations and experience can be fully utilized to improve customer satisfaction and promote the company brand name. Skills : Management, Critical Thinking, Multi-tasking, Strong Customer Service And Sales Proficient In Microsoft Office Suite, Zendesk, Salesforce.com, Join.me, Lion Desk CRM Proficient On Current Windows And Mac Operating Systems. The first point of customer contact for general inquiries like pricing, products, scheduling etc. Provide friendly customer service to 100+ customers in a fast pace environment. Keep records of customer interactions or transactions, recording details of inquiries, complaints, or comments, as well as actions, are taken. Contributed to an 8% sales increase in 2004 by improving lead-generation and sales-tracking techniques. Recognized as "#1 customer service rep" (out of 20 reps in division). Ranking was based on accuracy, customer service, duration of calls and availability. Provide update or new product information to customers and thoroughly explaining the quality and care of merchandise. 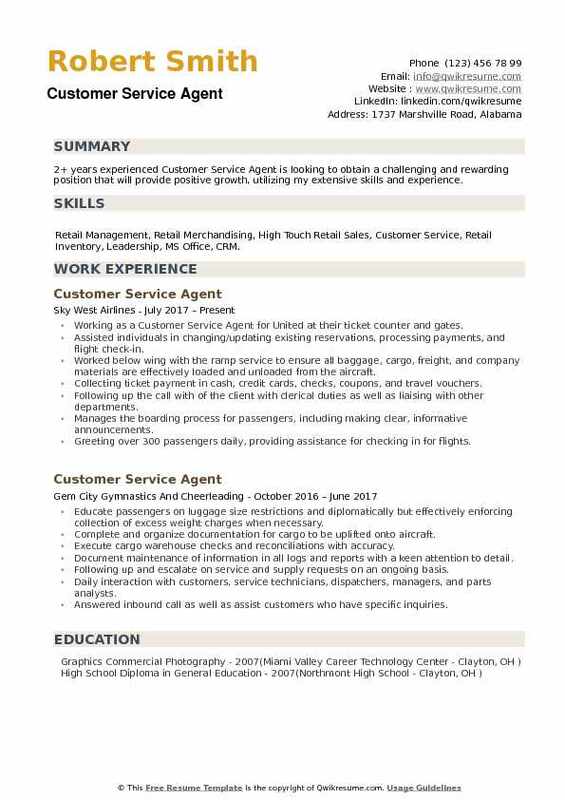 Objective : 4 years of experience as a Customer Service Agent is looking to obtain a position where I can utilize my leadership, customer service, and analytical skills. Goal-oriented and dedicated to high levels of customer satisfaction and meeting aggressive business goals. 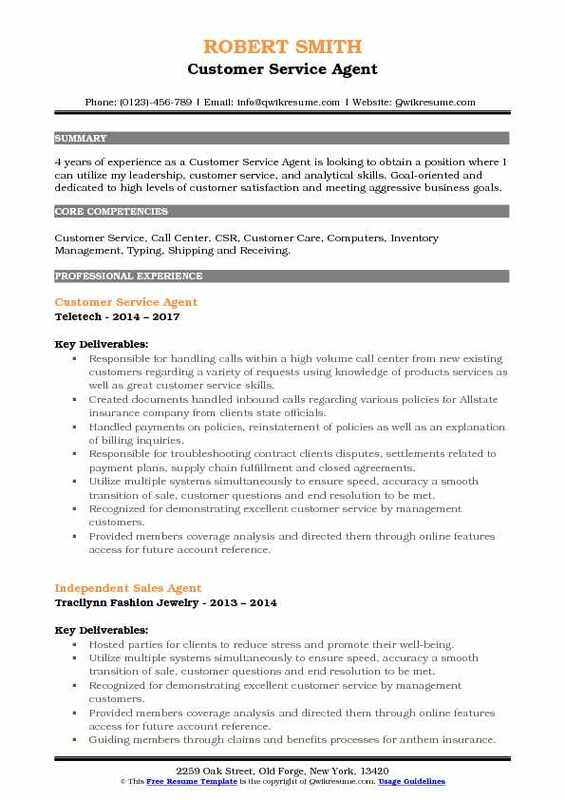 Skills : Customer Service, Call Center, CSR, Customer Care, Computers, Inventory Management, Typing, Shipping and Receiving. Responsible for handling calls within a high volume call center from new existing customers regarding a variety of requests using knowledge of products services as well as great customer service skills. Created documents handled inbound calls regarding various policies for Allstate insurance company from clients state officials. Handled payments on policies, reinstatement of policies as well as an explanation of billing inquiries. Responsible for troubleshooting contract clients disputes, settlements related to payment plans, supply chain fulfillment and closed agreements. Utilize multiple systems simultaneously to ensure speed, accuracy a smooth transition of sale, customer questions and end resolution to be met. Recognized for demonstrating excellent customer service by management customers. Provided members coverage analysis and directed them through online features access for future account reference. Objective : Detail oriented customer service professional with 4 years of experience in client account retention and custom fit solutions. Capable of selling additional services by recognizing opportunities to up-sell and upgrade accounts. 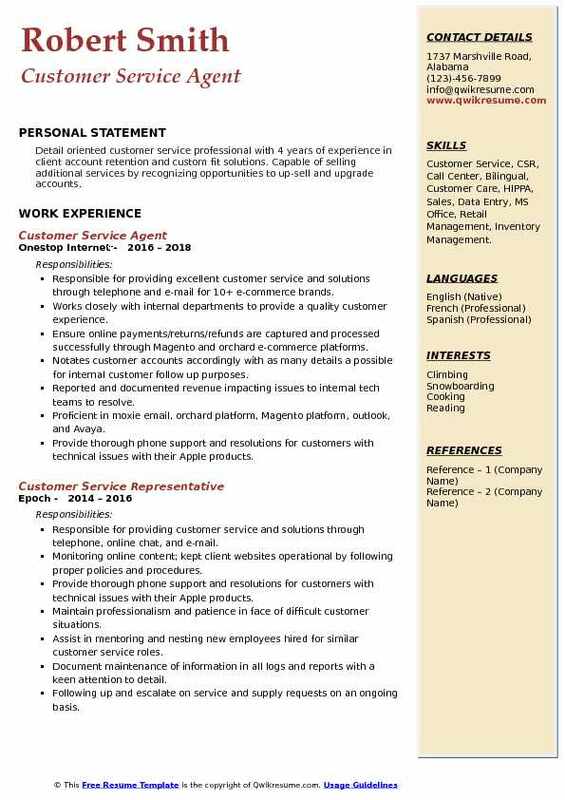 Skills : Customer Service, CSR, Call Center, Bilingual, Customer Care, HIPPA, Sales, Data Entry, MS Office, Retail Management, Inventory Management. Responsible for providing excellent customer service and solutions through telephone and e-mail for 10+ e-commerce brands. Works closely with internal departments to provide a quality customer experience. Ensure online payments/returns/refunds are captured and processed successfully through Magento and orchard e-commerce platforms. Notates customer accounts accordingly with as many details a possible for internal customer follow up purposes. Reported and documented revenue impacting issues to internal tech teams to resolve. Proficient in moxie email, orchard platform, Magento platform, outlook, and Avaya. Provide thorough phone support and resolutions for customers with technical issues with their Apple products. Maintain professionalism and patience in face of difficult customer situations. Assist in mentoring and nesting new employees hired for similar customer service roles. Objective : 2+ years experienced Customer Service Agent is looking to obtain a challenging and rewarding position that will provide positive growth, utilizing my extensive skills and experience. 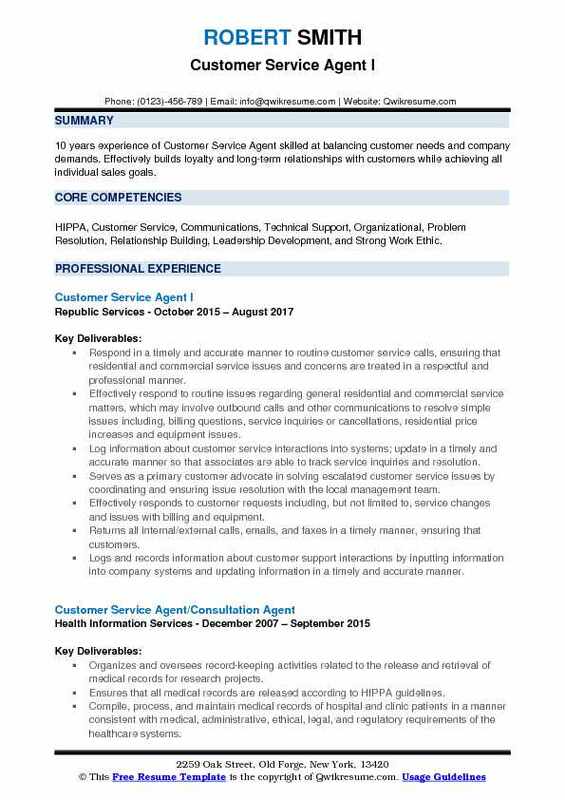 Skills : Retail Management, Retail Merchandising, High Touch Retail Sales, Customer Service, Retail Inventory, Leadership, MS Office, CRM. Working as a Customer Service Agent for United at their ticket counter and gates. Assisted individuals in changing/updating existing reservations, processing payments, and flight check-in. Worked below wing with the ramp service to ensure all baggage, cargo, freight, and company materials are effectively loaded and unloaded from the aircraft. Collecting ticket payment in cash, credit cards, checks, coupons, and travel vouchers. Following up the call with of the client with clerical duties as well as liaising with other departments. Manages the boarding process for passengers, including making clear, informative announcements. Greeting over 300 passengers daily, providing assistance for checking in for flights. Offers additional help with rebooking and general travel information.